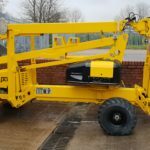 This biljax 45xa is a self propelled, all terrain boom lift access platform. Here is an excellent example that is for sale. 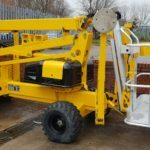 This particular Biljax 45xa has been refurbished and repainted by our team here at Promax, and as such is in excellent condition.